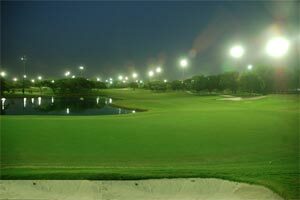 Golfing in India is gaining a lot of popularity in the global golfing community. India offers some of the greatest golfing challenges including world class designer golf courses and other golf courses with historical importance, yet unxplored but definately a golfers delight. India has a stunningly diverse range of golf courses to please everyone. India has always been popular among tourists for its rich culture, exotic appeal and variety. However, the country has added another feather to its cap by emerging as a popular destination for golf tourism. With golf catching the fancy of millions across the world, it was but natural for India to join the bandwagon. And indeed, it has done very well for itself in this sector. Gone are the days when only British colonial officers were the privileged ones to play golf on Indian soil. With more and more golf courses coming up all over the country, golf has taken its place among the most talked about sports in India. Besides, its potential for growth also speaks very promisingly about the future of this sport in India. Golf tours to India have now opened up a new window for novelty seeking tourists from across the world. Today, many visit India as part of their unending quest for the perfect golfing experience. Another fact that very few are privy to is that India is the second country after Britain to have taken up golf in its entirety. As you enjoy a luxury golf tour in India, we will ensure that you can tee off to your heart's content at the best courses the country can offer. Be it amidst the sprawling greens of Delhi, the delightful landscape of Jammu and Kashmir, the tea gardens of Assam or the beaches of Goa, we will make sure that golfing aficionados have the time of their lives. Our luxury golf tours in India bring with them the best of excitement and entertainment besides acquainting our guests with the wonder that is India in a very unconventional way. So if the word "golf" seems like music to your ears, do indulge in a luxury golf tour with us at Indianholiday.com. You will love and cherish every moment of this magical experience. The visiting golfer can look forward to much more besides a challenging test of his skill --- for most Indian courses combine a sense of history, scenic surroundings and a variety of other leisure activities with great game possibilities. Golf is as much a part of the British legacy bequeathed to India as parliamentary institutions, electric trams, the game of cricket, or the skirl of bagpipes Beating Retreat in the softness of an Indian sunset. The oldest golf club in the world to be founded outside of England and Scotland was in CALCUTTA in 1829. As British influence spread over the vast sub-continent, golf courses and clubs were established wherever "a patch of grass grew", and in many places where it did not ! India's second golf club, Royal BOMBAY became in 1842, the second oldest in the world outside of Scotland and England. Thirty years had to go by before BANGALORE in south India started a golf club in 1876, followed in 1878 by the scenic Shillong Club in Upper Assam some 2000 miles northeast in the eastern Himalayas. AHMEDABAD, India's textile city, started a golf club in 1884 and two years later the MADRAS Gymkhana Club started a golf section. In 1887 a golf course was created in the dusty army cantonment in the erstwhile princely Nizam's dominions of Hyderabad.